Boxing icon Floyd Mayweather Jr. has revealed that he offered $15 million in a bid to clinch an unprecedented fight with mixed martial artist and Ultimate Fighting Championship (UFC) kingpin Conor McGregor. A potential fight between undefeated former five-weight world champion Mayweather and McGregor - the UFC’s only ever simultaneous two-division champion - has become the most discussed topic in combat sports, but up until now has amounted to little more than speculation. Now Mayweather, 39, has stated in no uncertain terms that he wants to see the fight with the Irishman materialize. But, not surprisingly for the fighter nicknamed ‘Money’, the fight seems to hinge on hard cash. "We tried to make the McGregor fight. My number was a guaranteed $100 million. 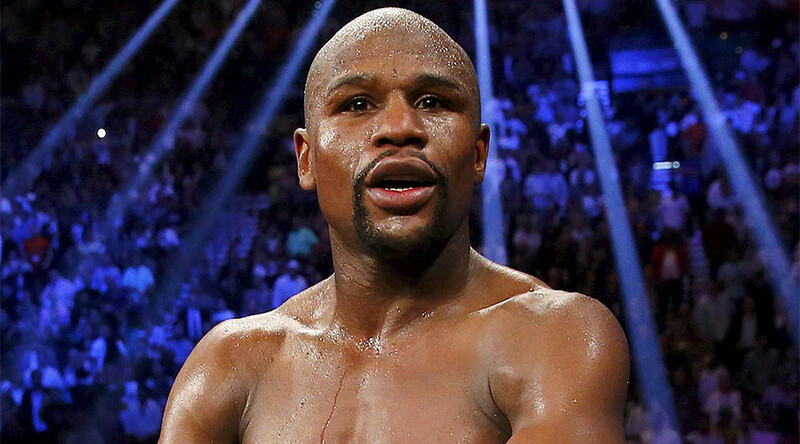 We offered him $15 million," Mayweather told ESPN’s First Take. "We're the A-side and I don't know how much money he has made but I'm pretty sure he hasn't even made $10 million in an MMA bout. We are willing to give him 15 million. "Then we can talk about splitting the percentage on PPV but of course we are the A-side. How can a guy talk about $20 million or $30 million if he’s never even made eight or nine million? Neither fighter has been shy in having a pop at the other over social media. Most recently McGregor posted an emoji of himself wearing boxing gloves and standing victoriously over a felled Mayweather while lifting two championship boxing belts. The caption reads: "Call me C.J Watson!" - a reference to text messages from NBA guard C.J. Watson in 2010 that allegedly upset Mayweather and led to his 90-day jail sentence for domestic violence. Mayweather last boxed in September 2015 when he recorded a routine 12-round victory over welterweight contender Andre Berto; the victory saw him draw level with fabled heavyweight champ Rocky Marciano’s unbeaten record of 49-0. Although the fight closed the curtain on Mayweather’s glittering 19-year pro career, there have been rumors he may be tempted out of retirement to eclipse Marciano’s feat. McGregor, who fought as an amateur boxer during his youth in Ireland, was granted a professional boxing license for the state of California late last year. A fight with Mayweather would see the two biggest pay-per-view draws in their respective sports pitted against each other. Mayweather’s May 2015 superfight with Manny Pacquiao generated $410 million in pay-per-view sales, the biggest in boxing history, while the McGregor-headlined UFC 205 event in New York City drew an estimated record 1.6 million buys.